I live the Franciscan life by choice - after all, Dear Husband and I are in formation with a Franciscan order of sisters, they've been our spiritual advisors and have been for many years. I've said here before I'm not a very good Franciscan, as I own far too many shoes, but Franciscan spirituality is in the marrow of my bones. Youngest Son and I were talking yesterday about Franciscans, and I told him about how "hard-core" the Franciscan Friars of the Renewal are. I told my son that when I went to the March for Life a few years back, I walked most of the way with some of these Friars. They were barefoot. In January. In DC. And singing joyfully the entire way. They sleep on the floor. No pillows, no mattress. They truly don't own anything. They are in service to the poor in the radical way St. Francis was. My son thought this was crazy, and it is. Crazy in that it's radical love for Christ, and that always looks crazy to our sin-steeped world. Little did I know while having this conversation that the same night, I'd be right there on the floor with these friars. Flannery O'Connor, one of the greatest Catholic writers, said this: "What people don't realize is how much religion costs. They think faith is a big electric blanket, when of course it is the cross. It is much harder to believe than not to believe." Given our own choice, we'd pick the electric blanket, a soft down comforter, breakfast in bed and heated towels after our shower. That's not the life of Christ, however. Nope, we get the floor. And why shouldn't we? That's where our Savior began his life: in the dirt and animal waste, turned away from even the most rudimentary comforts of an inn two thousand years ago. 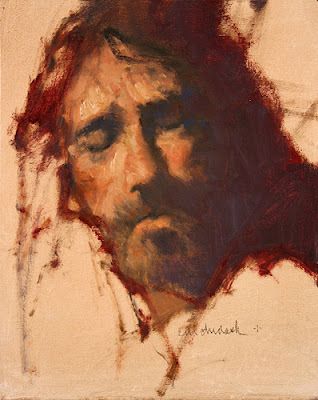 He told us in the Gospel that he had no where to lay His head. It would be nice to be able to become holier, more Christ-like, without having to actually be like Him. But there are no shortcuts. If we have the audacity to ask Him to make us more and more like Him, then we need to be prepared to sleep on the floor. Even if we don't really want to.